All our lodges are accessible by wheelchair, and we have our own wooded areas where you can enjoy getting up close to nature. You can also do a delightful lap of our private lake on wheels, and if required, we have an on-site mobility scooter for guests with limited mobility to use while on site. Each lodge has an accessible bathroom and we can supply shower stools on request. Four of our lodges are rated under the National Accessible Scheme “NAS”. 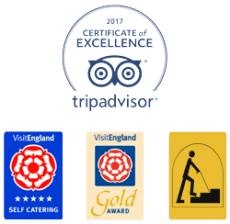 You can find out more about these ratings and compare the wheelchair accessibility of each lodge below and you can find our access statement here. We do have other accessibility aids, call us to discuss your needs so we can work out how best to help you. Cumbria has around 48 walks across the Lake District National Park suitable for people with limited mobility, including wheelchair users, families with pushchairs, and the visually impaired. If you can climb a flight of stairs, but banisters or grip handles make this easier for you. Alder, Buzzard, Dunnock, Egret & Heron achieve M1. If you have problems walking or can walk a maximum of 3 steps, or need to use a wheelchair some of the time.